Apollo Goals: According to a NASA website, Land astronauts on the moon and return them safely; establish technology to meet other natural interests in space, including preeminence in space for America; carry out scientific exploration of the Moon; and develop capability to work in the lunar environment. Number of Missions: 17 completed. There were plans for missions 18, 19 and 20, but lack of funding cut them short of go. 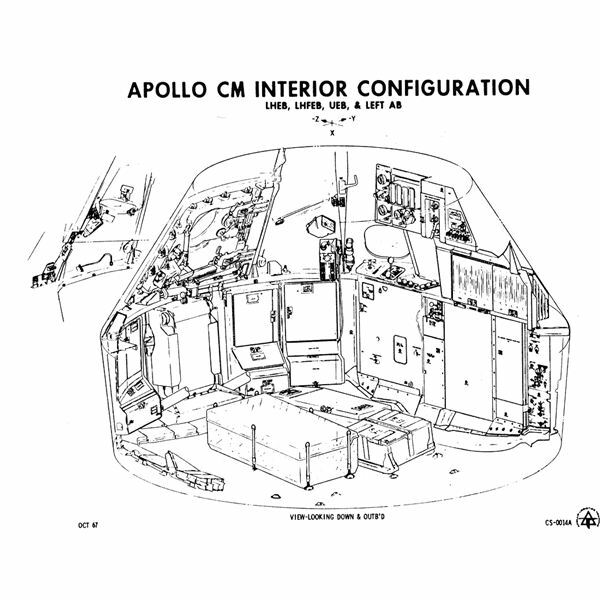 Apollo Spacecraft: The Apollo spacecraft was segmented into three sections: The command module (CM), which housed the crew’s quarters and the flight control section; the service module (SM) which consisted of the propulsion section and spacecraft support systems; and the lunar module (LM), which allowed enough space for two crew members. The when the CM and the SM were joined and lacking the LM, such as when the astronauts would take the LM to the Moon, they were referred to as the CSM. 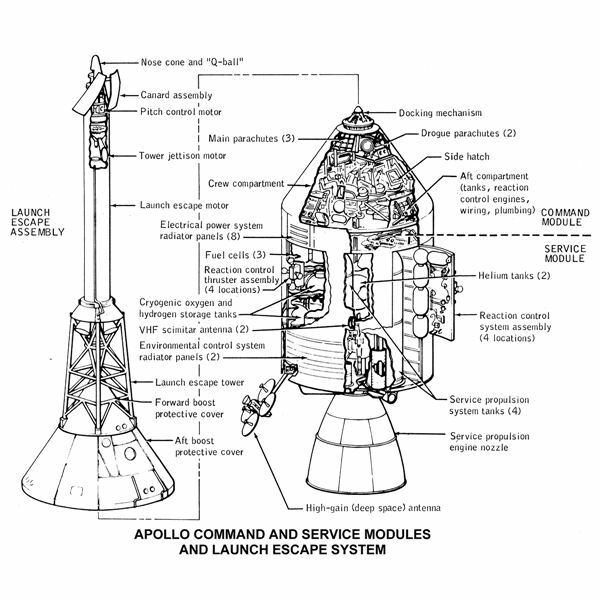 Unmanned Missions: Apollo 4, 5, and 6. No missions were ever given the title Apollo 2 or 3: the missions immediately following the tragedy of Apollo 1 were given serial numbers. Apollo 1: During a preflight simulation a fire broke out in the CM and killed all three astronauts, namely Virgil Grissom, Edward White and Roger Chaffee. Extensive investigation into the issue suspended further manned flight until the issue could be diagnosed and addressed; in the end the specific source of the ignition of the fire was never "conclusively identified," although it was most likely an electrical issue "in the lower forward portion of the left-hand equipment bay" (https://www.hq.nasa.gov/office/pao/History/Apollo204/content.html); several severe safety risks were diagnosed, including the pure oxygen interior of the module, the flight suits, the design of the door, the lack of any fire hydrants in the room the module was in, and no emergency staff present. Changes were made to address the risks exposed during Apollo 1 to avoid such an occurrence on subsequent missions. Apollo 13: Termed a "successful failure" because although the oxygen tanks failed and many of the mission’s initial goals were not met, the crew was returned alive to Earth. Days before the mission the LM commander Charlie Duke exposed the crew to German measles; the CM pilot did not have an immunity to measles and was replaced. The oxygen tanks going out had to do with an "oversight in replacing an underrated component during a design modification" part of oxygen tank 2, and the effect on that part by a process used in heating one of the oxygen tanks in order burn off some of the oxygen in the tank–the emptying to 50% capacity of the oxygen tanks a typical process for any of the missions (https://www-pao.ksc.nasa.gov/kscpao/history/apollo/apollo-13/apollo-13.htm). However the heating technique was used because tank 2 was not emptying by normal means. So, approximately two-and-a-half days into the mission, and 9 minutes after a television broadcast from Apollo 13, oxygen tank 2 exploded and caused tank 1 to fail as well. Rock Samples: 841.5 lbs of rock and materials were returned from the Moon landings. One of the most significant samples, called the Genesis Rock, was gathered from Apollo 15 and suggests that the entire surface of the Moon at one time was molten. Landings a Fake? : There are a number of people out there who believe that the Moon landings were staged. Among other objections, they believe that NASA did not have the technology to accomplish such a feat at that time period. Some of the evidence cited to refute the legitimacy of the landings is the lack of stars in any of the photographs (supposedly) taken on the moon, and the appearance of the U.S. flag as being blown by wind, which it obviously shouldn’t be doing on the Moon. NASA has responded to these allegations and bits of evidence: There are no stars in the "sky" because of the adjustments made on the cameras to accommodate for the brightness of the surface and the brightness of the light coming from the astronauts suits, both of which were severe to say the least; as for the apparent wind, the flag had been rolled up for the trip and had wires running through the top and bottom of the flag to keep it erect; so, as the astronauts attempted to dig it into the surface it appeared to undulate as if blown by wind, and then once up, the flag was left with a few creases due to the wires remaining a bit bent. NASA also points to the materials brought back from the Moon, which bare traits that are specific to Moon rocks alone, including the trait of being much older than any known rocks on Earth. Apollo 20 Hoax: There was purported to be a top-secret Apollo 20 mission by a gentleman named William Rutledge, who also claims he was one of the astronauts on the mission. This gentleman has posted the supposed videos of the mission on Youtube among other places, and claims that the mission was to land on the moon and investigate some ancient alien ruins.